The beat is what you tap your foot to: a steady pulse. The faster the tempo the faster the music. You will need to know how fast a song should be played. This is called the tempo. Composers usually notate the tempo they want the music performed. This can be done using notated terms or numerically. 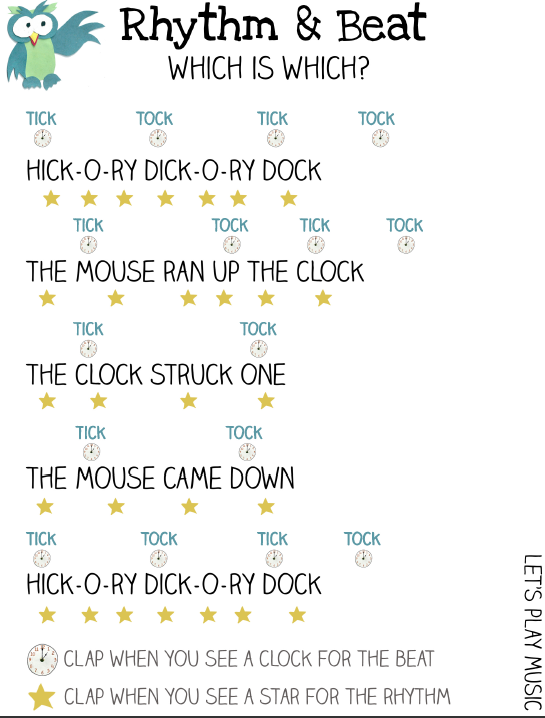 To help you understand how tempo is measured think of a clock. Try tapping you foot once every second. That tempo you are tapping is 60 beats per minute. 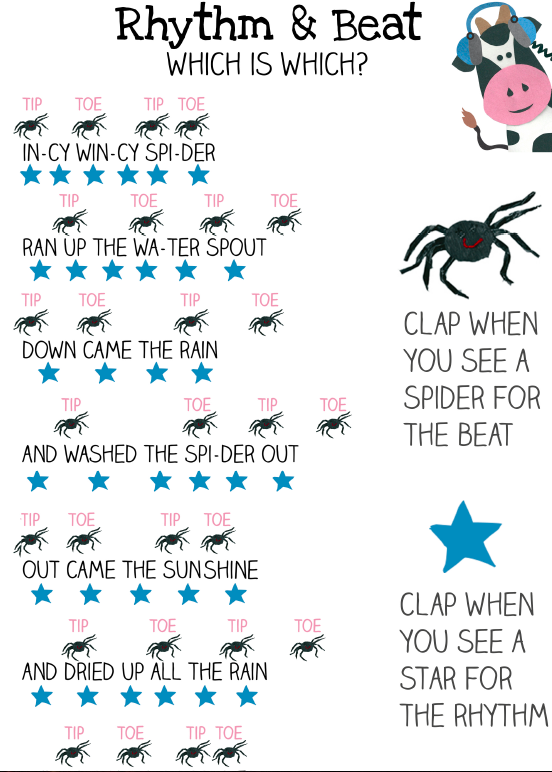 A typical up tempo dance song’s tempo is 120 beats per minute so you would have to tap your foot twice as fast. 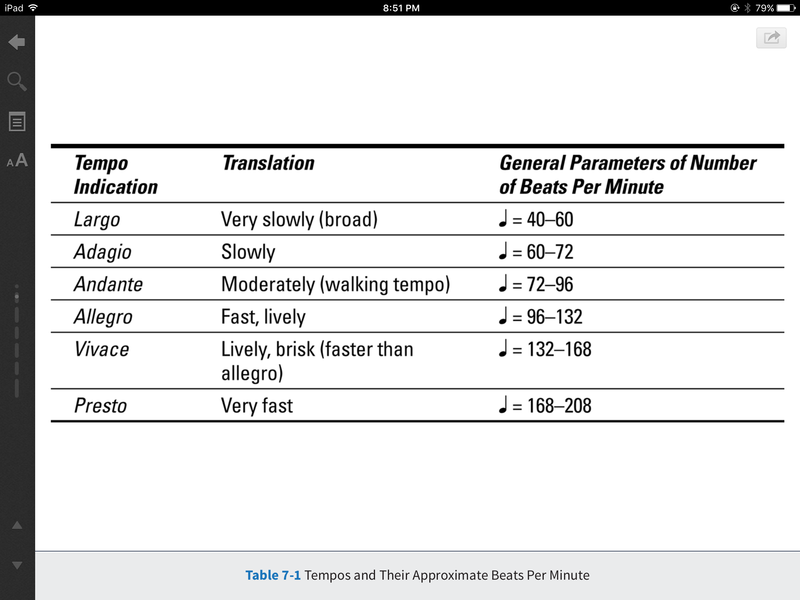 You can also notate the speed or tempo using Italian Terms. We group beats into measures. Think of a music staff paper as a timeline. The music on the staff can be divided up into smaller units of time called measures. They help you count the beat and keep track of where you are in the music at all times. Each measure has a specific set number of beats. The composer decides how many beats to put into each measure. This affects the overall feeling or groove of the music. 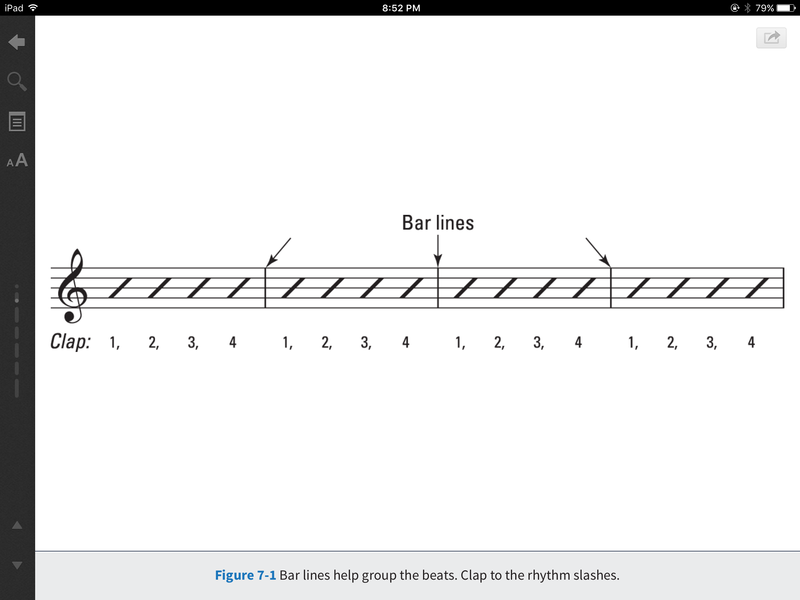 Usually a measure has four beats and is called common time because it is the most common beat grouping used in music. This smaller group of just 4 beats is easier to count. Try counting the four beats per measure below.